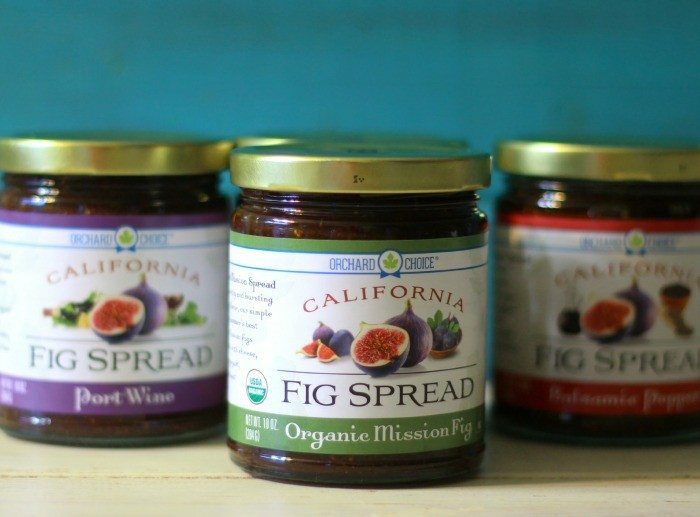 Today I have for you a flavorful, fig spreads that really blew my mind. 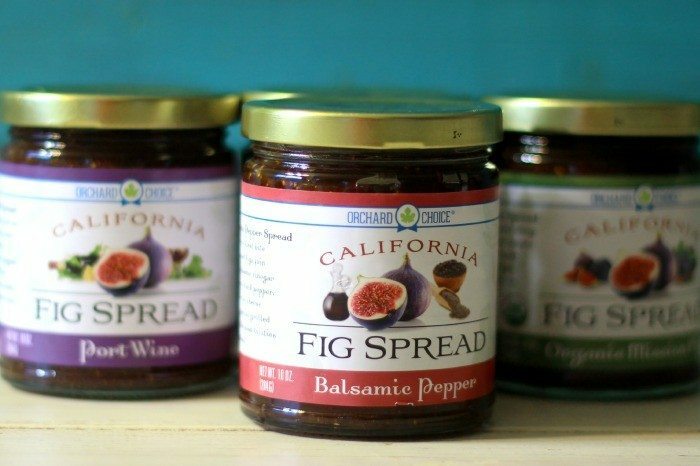 I’m not much of a fig person, but the flavors of these Orchard Choice California Fig Spreads are amazing. When I tried them out on crackers, smeared with cream cheese, oh my gosh I fell in love. Naturally you know my favorite one is the Balsamic Pepper. Yum! 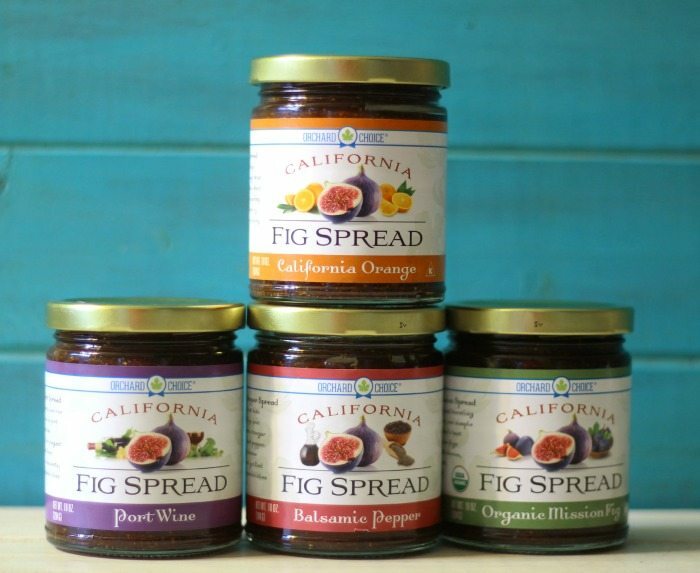 The Orchard Choice California Fig Spread comes in 4 flavors. First up is Organic Mission Spread. A sweet, earthy and bursting with fig flavor. 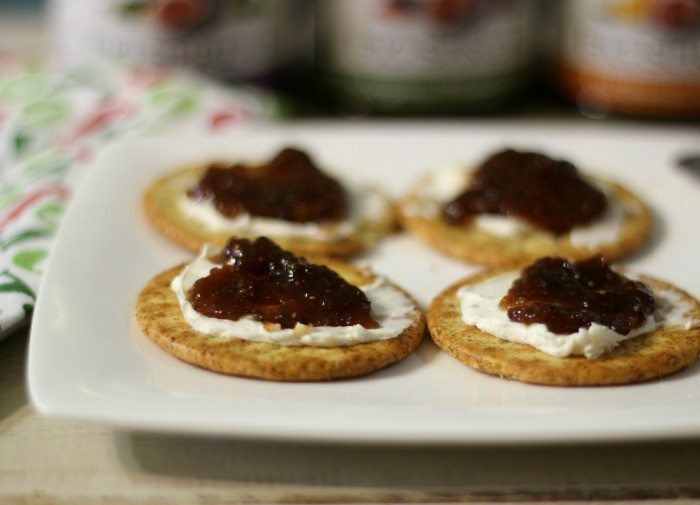 California Orange Fig Spread is a tangy twist of orange to create a delicious fruit spread. 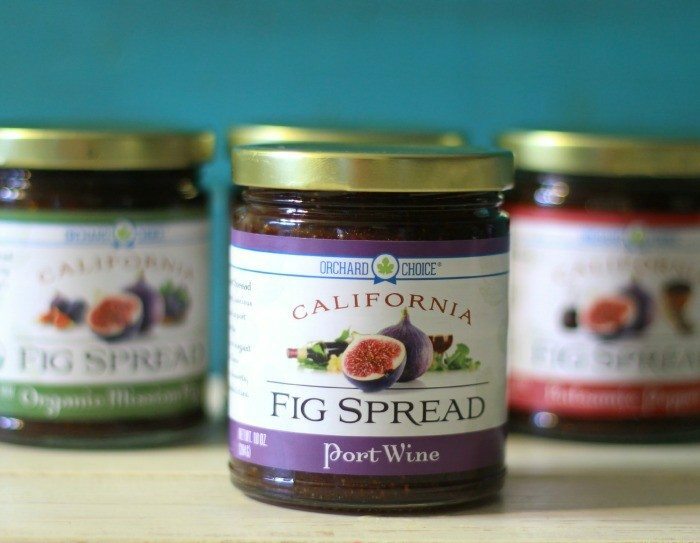 Port Wine Fig Spread is a sweet, luscious figs drenched in port and you have the makings of an elegant fruit spread. My personal favorite Balsamic Pepper which is sweet figs join sassy balsamic vinegar and spicy black pepper. 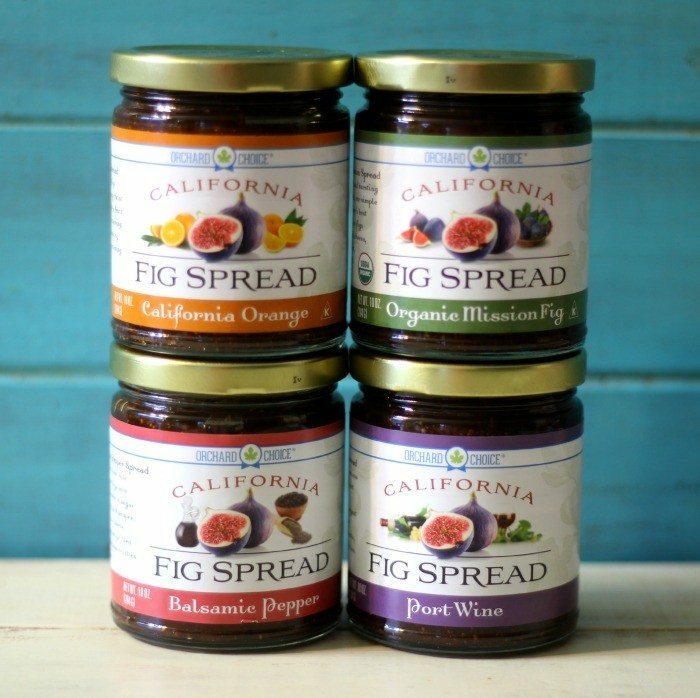 I simply love Orchard Choice California Fig Spreads and I think they would make a great addition to your cheese tray or made into a dressing to top on salad or even smeared on pork, chicken or beef. The possibilities are endless. For me, I’m a simple girl and I think they are great just topped on crackers with cheese. Oh and you know what? This would make for a great hostess gift! I wanted to let you know that the figs are sun dried, naturally harvested at their peak of flavor and sweetness to create a bold, sassy and incredibly delicious spread. The spreads are Non-GMO, vegetarian, Nut Allergen-Free, Gluten-Free, Cholesterol-Free and Sodium-Free. 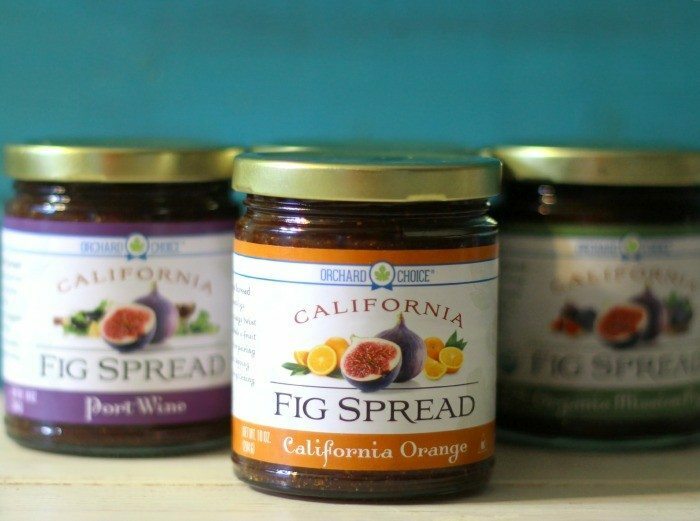 You can win a 4 pack of Orchard Choice California Fig Spreads in all the flavors to try. To win, all you have to do is tell me which flavor would you like to try? This post is sponsored by Orchard Choice California Fig Spreads and Kitchen Play. I received free product for this post. All opinions are my own. The California Orange sounds like something I would really like….although, they all sound really good!! I would LOVE to try the California Orange. All sound amazing and your favorite Balsamic Pepper is a closer runner up. I’d love to try the Port Wine as that combo sounds divine! The Balsamic pepper sounds interesting, I would like to try that. Thanks for the chance to win win. I would love to try the california orange, maybe like a marmalade? Balsamic pepper sounds reaally good 🙂 would like to try it of course ! Port wine but really all of them! The port wine flavor sounds perfect for pizza with proscuitto,carmeized onion, and arugala. Hard to choose, but definitley the balsamic pepper! the California orange sounds delicious since I love marmalade! I’d like to try the Organic Mission spread. I would like to try the California Orange. Thanks. Port Wine is my top pick! Thanks! Ohhh! the balsamic pepper one is the first one I would try! California Orange would be delightful! The port wine sounds yummy! They all sound divine, but I think I would like to try the California Orange first!! They all sound scrumptious! Like to try them all. Especially the Balsamic Pepper flavor! I’d be the most excited about trying both the Port Wine and the Balsamic Pepper flavors. I hope this isn’t over yet …. I’d like to try the Balsamic Pepper! I’d like to try the Balsamic Pepper!! I would love to try the California Orange flavor. I would love to try the California Orange, but they all sound delicious! I’d like to try California Orange Fig Spread. The California Orange would be my favorite since I love anything citrus. I’d love to try the California Orange variety.